USA Today Bestselling, award winning author of romantic suspense and epic fantasy romance, C.A. loves to dabble in different genres. If it's a good story, she'll write it, no matter where it seems to fit! She's a hopeless romantic and always will be. Risking it all for Happily Ever After is what she lives by! C.A. is originally from Ohio, but got to Texas as soon as she could. She's happily married and has a bachelor's degree in Criminal Justice. She works with kids when she's not writing. To ask C.A. Szarek questions, please sign up. C.A. Szarek And MS word said, "Save error." The manuscript is gone. I am SUPER excited because it's my book birthday! 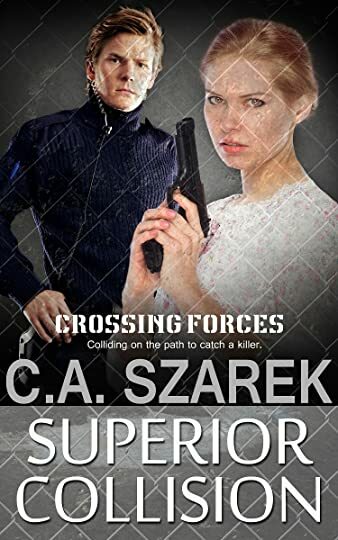 SUPERIOR COLLISION (Crossing Forces Book 5) is HERE! 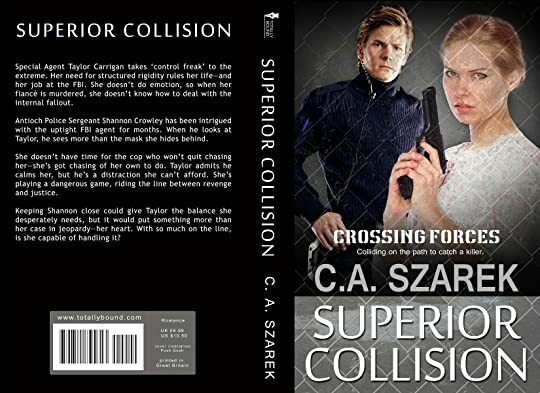 Special Agent Taylor Carrigan takes “control freak” to the extreme. Her need for structured rigidity rules her life—and her job at the FBI. She doesn’t do emotion, so when her fiancé is murdered, she doesn’t know how to deal with the internal fallout. We’d love your help. Let us know what’s wrong with this preview of The Rogue by Monica McCarty. We’d love your help. Let us know what’s wrong with this preview of The Ghost by Monica McCarty. We’d love your help. Let us know what’s wrong with this preview of The Striker by Monica McCarty. We’d love your help. Let us know what’s wrong with this preview of Hell or High Water by Julie Ann Walker. We’d love your help. Let us know what’s wrong with this preview of Hot Pursuit by Julie Ann Walker. We’d love your help. Let us know what’s wrong with this preview of Fuel for Fire by Julie Ann Walker. Amy wrote: "Hi C.A! Thanks so much for accepting my friend request. Have a wonderful day!" Hi C.A! Thanks so much for accepting my friend request. Have a wonderful day! C.A, thank you for the friendship. Sidney wrote: "Oh hey look, no comments. Guess who popped your comment cherry. Yup, I'm that mature. ;D"